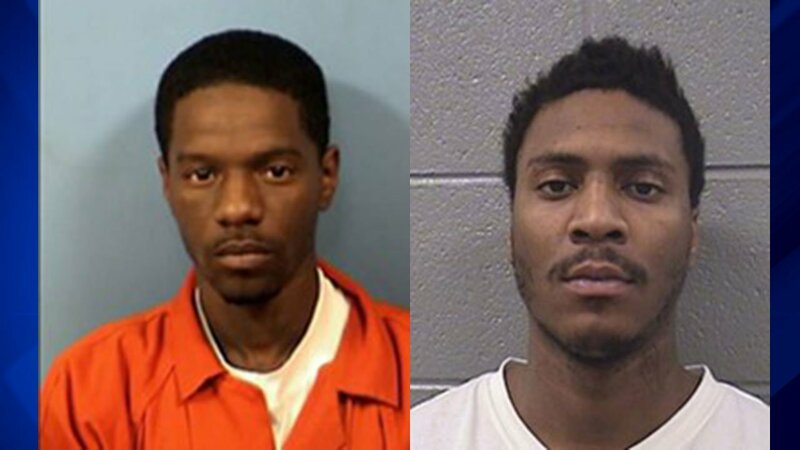 WHEATON, Ill. (WLS) -- Two Chicago men were charged in a February carjacking in west suburban Wheaton, police said Tuesday. The carjacking occurred at about 10:15 p.m. Feb. 22 in the driveway of a home on Gallant Court. Two residents were robbed at gunpoint and the suspects took the victims' vehicle, police said. Carlos Martice Moore, 26, was arrested Sept. 20 and charged with armed robbery and aggravated vehicular hijacking. He was transferred to the DuPage County Jail to await trial. An arrest warrant with the same charges was issued for the second suspect, Phillip J. Smith, 25. He is currently wanted on a $500,000 bond and is being held in Cook County Jail on unrelated charges.